I was originally going to compare Ready Player One with another book-to-movie adaptation that I believe didn’t go so well: Harry Potter and the Goblet of Fire. I can’t make the comparison I wanted to now, but I think it still gives some insight into the overall problem. Goblet of Fire is a natural choice to compare with Ready Player One because they have similar structures. In each book, the teenage male protagonist must complete a dangerous, three-part contest or face dire consequences, all while powerful people are trying to kill him. Now, I don’t actually think Goblet of Fire was a bad movie, but it does have quite a few problems, and other fans agree; although it has a high critics’ rating on Rotten Tomatoes, its audience rating is the lowest of the entire franchise except for Crimes of Grindelwald. My working theory for Goblet of Fire is not that it was handled badly (except for “Did ya put ya name in da Goblet of Fiyah? !”), but rather that it was doomed to fail. It’s just too big a book to translate well. With three tasks and the Yule Ball to contend with, there’s simply too much in the book that can’t be left out, and they had to gallop through the story so fast to fit it all into two and a half hours that it felt rushed the whole way. Ready Player One has the same problem, albeit not as badly. The second half of the movie I still think was unreservedly brilliant. The first half, though, underwent a shocking change. Shocking because when I saw the movie in the theater, I thought the first half was perfectly paced. It meshed just fine with the second half, and it all flowed together to make a really good story. But now that I’ve read the book, I see how much stuff they had to cram into that first hour, and as a result, it felt very rushed. My perception of time changed dramatically from knowing the full version of the story. I’ve actually had this reaction in several cases recently. For example, the original Incredibles and the first LEGO Movie both felt a little rushed on re-watch (though not as much as Ready Player One). I worried this might be a general problem—that movies feel faster when you already know the plot, and I just never noticed before. But on further consideration, I don’t think that’s true. There are other movies whose pacing felt perfectly normal on re-watch—for example, the first Fantastic Beasts movie, the How to Train Your Dragon movies, and many Marvel movies. I may investigate this phenomenon further if I can find the time, but for now, I’m tentatively ascribing it to a flaw with the movie itself. I did note that Ready Player One felt less rushed than Goblet of Fire, so we can still ask why this is the case. One obvious answer is that they had to compress the length of Goblet of Fire more. 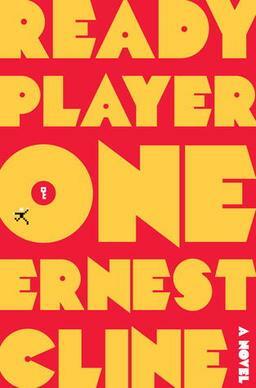 The audiobook of Ready Player One is 15 hours, 40 minutes, while the movie is 2 hours 20 minutes, or about 15% of the length. In contrast, the audiobook of Harry Potter and the Goblet of Fire is 21 hours, 12 minutes; the movie is a little longer at 2 hours, 37 minutes, but that still cuts it to 12% of the length. That doesn’t sound like a big difference, but it’s a fifth of the length in proportion. It’s equivalent to cutting half an hour out of Ready Player One or adding half an hour to Goblet of Fire. That would clearly make a big difference. I don’t know if this is the real reason. I don’t know what they could have done differently in these two movies to fix their pacing problems. Sometimes an idea will jump out at me for what the writers could or should have done differently to make a movie better. Noah comes to mind. Cars 3 comes to mind. Solo—ugh; you get the idea. Now, I have a list of things that I think were poor adaptation choices for Goblet of Fire, but they’re smaller. I don’t know how to fix the overall structure. I do want to address something the adaptation of Ready Player One did right, though, because Steven Spielberg did something very risky, and I think pulled it off: he radically changed the story. In the book, each of the three challenges actually has multiple parts. I count eight in all, and you could possibly count more. The movie wisely cuts these back to three because, as we saw before, three challenges is plenty to fill the script. The movie also almost completely discards the original challenges and writes new ones wholesale. This is also a wise move because all eight of the original tests involved playing classic video games or reenacting classic movies, which wouldn’t play well at all on screen. Instead, we get an over-the-top race, a horror game based on The Shining, and a classic video game challenge only loosely based on the book version. Several other important plot points were radically simplified too to shorten the movie. More controversial was Spielberg’s decision to change the tone of the film from classic video game geekery to classic movie geekery (and to avoid his own movies so as not to appear too narcissistic). See this story talking about it. However, I think this was also a good idea because movie geekery is more mainstream. As big as gaming is (by some measures, it makes more money than films), only a minority of people are serious gamers, but almost everyone watches movies, so this would appeal much better to a general audience, myself included. 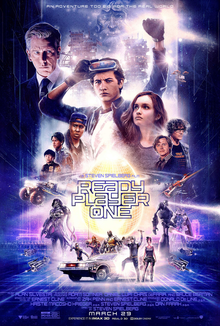 But most important is that Ready Player One changed almost all of the details of the plot, but still managed to remain (in my opinion) true to spirit of the book (if not the obsessive devotion to 80s culture). Again, maybe I’m biased by not reading it first. In Goblet of Fire, if you wholesale replaced the tasks in the Triwizard Tournament…well, you might actually make it a better story; there are some serious problems there. But I don’t think Harry Potter fans would stand for it. Still, note how the tests in the Ready Player One film center around riddles about James Halliday, which only come out near the end of the book, and in a less satisfying way. And they serve to teach Wade (I think maybe even better than the book does) the lesson that he still needs to live his life in the real world and try to fix the problems out there (and to take a chance with Samantha). Thus, I think the message of the book still came through clearly, and that is one way in which the movie adaptation really did get it right. This entry was posted in books versus movies, Fiction and tagged fiction analysis, Harry Potter and the Goblet of Fire, movie adaptations, Ready Player One. Bookmark the permalink.